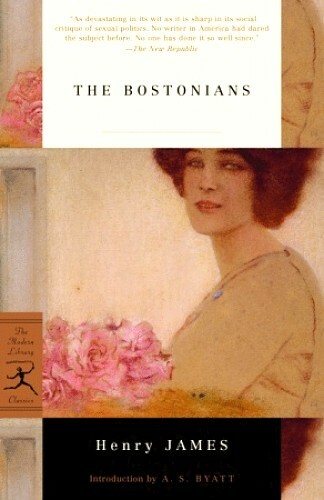 The Bostonians (1886) by Henry James is another extraordinary example of character development and story telling. In that sense, The Bostonians is not unlike James’ The Wings of the Dove which he wrote in 1902. A love triangle between two women and a southern gentleman set in Boston, New York and Cape Cod. Olive Chancellor, a wealthy leading citizen of Boston, becomes fascinated with a young and ravishing Verena Tarrant, who was being promoted by her parents as a sort of mystic for hire to perform at fashionable Boston salons. Olive, a leader in the early feminist movement in Boston, sees Verena’s talents and speaking skills better used as an advocate for women’s rights. She literally buys her from her parents! A bit of satire from James about Olive, the zealot reformer. Arriving upon the scene is Basil Ransom, Olive’s distant cousin from Mississippi who outspokenly detests the feminist movement. Instantly, Ransom falls in love with Verena. “My dear madam,” says Ransom to Olive, “does a woman consist of nothing but her opinions? I like Miss Tarrant’s lovely face better, to begin with.” I need say no more about where the narrative for this epic conflict takes the reader, especially as Ransom discovers that Olive’s love for the young evangelist is equal to his own. In writing The Bostonians, James is coming back to his roots in the United States but in retrospect, the novel may well have been set in the parlors of New York. However, the venerable Miss Birdseye is definitely a Bostonian! Unlike his later novels, The Wings of the Dove and The Ambassadors, The Bostonians received little acclaim and was in fact scoffed upon by writers including Mark Twain. The Bostonians was made into a movie in 1984 starring Vanessa Redgrave and Christopher Reeve, which also received modest notices. A footnote. Henry James novels always seem to contain favorite words. In The Wings of the Dove the word is ” prodigious.” In The Bostonians time and again James uses the word “rejoinder,” which means to answer a question. Henry James , writing the word “answer” would be much too simple. ” Rejoinder” heightens the magnitude of simple prose. I believe Henry James accomplishes the same in every paragraph he wrote. While reading The Bostonians I wondered if in 1926 Sinclair Lewis could possibly have developed the idea for his Elmer Gantry after discovering Verena Tarrant in The Bostonians? Possible? The Bostonians is one more reason why looking back for a “good read.” is so rewarding. Great novels are never dated. 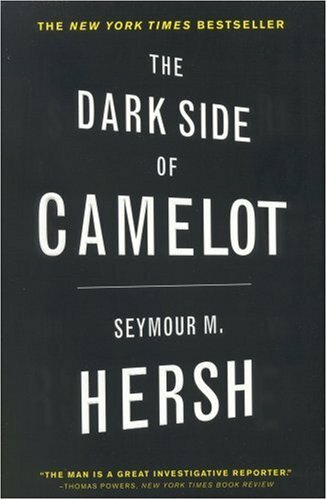 Pulitzer Prize winning journalist Seymour Hersh received heavy criticism for his 1997 book The Dark Side of Camelot ,which is filled with assertions regarding the sexual exploitations of JFK , both in and outside the White House. Some of his critics went so far as to say Hersh “ made it up.” Well, it appears not that he was right on! 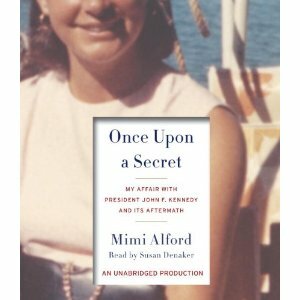 Mimi Alford’s Once Upon a Secret: My Affair with President John F. Kennedy and its Aftermath largely substantiates Hersh’ s reporting in The Dark Side of Camelot, including the pool parties and the interns. Hersh’ s writing also includes much inside detail on more substantative political subjects including the Bay of Pigs Invasion and Kennedy’s relationships with mob boss Sam Giancana. Hersh may be best known when in 1969, he broke the story of the My Lai Massacre, in which hundreds of unarmed Vietnamese civilians were murdered by US soldiers in March 1968. The report prompted widespread condemnation around the world and reduced public support for the Vietnam War in the United States. He received the Pulitzer Prize for International Reporting.